Detail of the Empire signage here. Opened in 1985 as a 10-screen UCI multiplex. Screen 6-388 seats, 7-256, 8-232, 9-204, 10-204. After the merger of Odeon and UCI in 2005, this was one of the UCI sites sold off because of competition concerns. 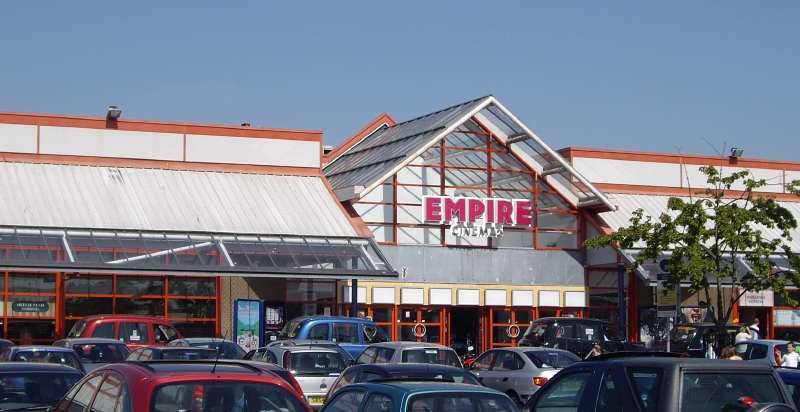 It was then re-branded as an Empire Cinema. Older photo as the UCI here.